NOT EVERYONE CAN afford the latest high-end smartphone. Considering the prices they start at, it’s a significant commitment for those more conscious of their finances. The good news is the gap between the two has diminished in recent years. You can get a great mid-range or budget device unlocked for a fraction of the cost, and combine that with a prepay or SIM-only plan and you could make significant savings. Here are the best devices you can get on a budget. Read first: if you’re looking for premium smartphones, you will find them here. Combine that with pure Android, and some small touches from Motorola and you have one of the best budget devices out there. Sony appear to excel when creating mid-range devices and the Z5 Compact continues that good run of form. There is a slight downgrade in specs here with screen quality and RAM, but it has a fantastic camera, virtually the same CPU and chipset and a planned upgrade to Android Marshmallow makes it one of the better mid-range devices released. If that’s a little too expensive, then the Xperia Z3 is a good alternative considering it’s only a year old. Calling itself the flagship killer, OnePlus’ latest smartphone continues on the work set by its predecessor by adding a number of improvements to the mix. As well as a fingerprint scanner and Oxygen OS, it’s a good improvement over the OnePlus One. The major drawback is getting an invite in the first place. You could be waiting a while before you’re eligible for one and then you only have 24 hours to decide if it’s for you or not. OnePlus say it’s will allow more opportunities to buy its devices, but you’ll need to be on the ball if you want to get one. 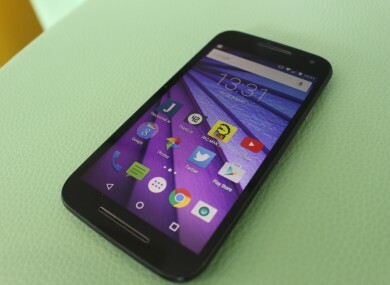 Motorola released a budget phone this year as well and much like the X Play, it’s one of the best in its range. Large screen, decent camera, agreeable software and a great price point shows why Motorola is one of the best out there for these type of phones. This may be a surprise inclusion, but considering how cheap it is and the specs involved, it’s hard to ignore Vodafone’s own offering. It’s a heavily subsidised device considering it has the same specs that you would find in a above mid-range device. Sharp screen, Android Lollipop, a great battery and a fast processor. So long as you’re a Vodafone customer, and don’t mind a larger than usual screen, it’s a great bargain. While not quite matching the same level as its more illustrious rivals, Huawei’s flagship device is generally good value for what you’re getting. The custom OS, Emotion, has a number of nice touches, making it more similar to Apple’s own iOS, and its call quality is one of the best out there, but it’s generally good value for money provided you’re willing to make some exceptions here and there. Email “Looking for a cheaper smartphone? These are the best budget devices out there”. Feedback on “Looking for a cheaper smartphone? These are the best budget devices out there”.